Do you live in Fitzrovia, Marylebone or Soho? Sick and tired of feeling sick and tired? Do you have a long-term health condition? Are you a carer? Would you like a healthier, less stressful life? 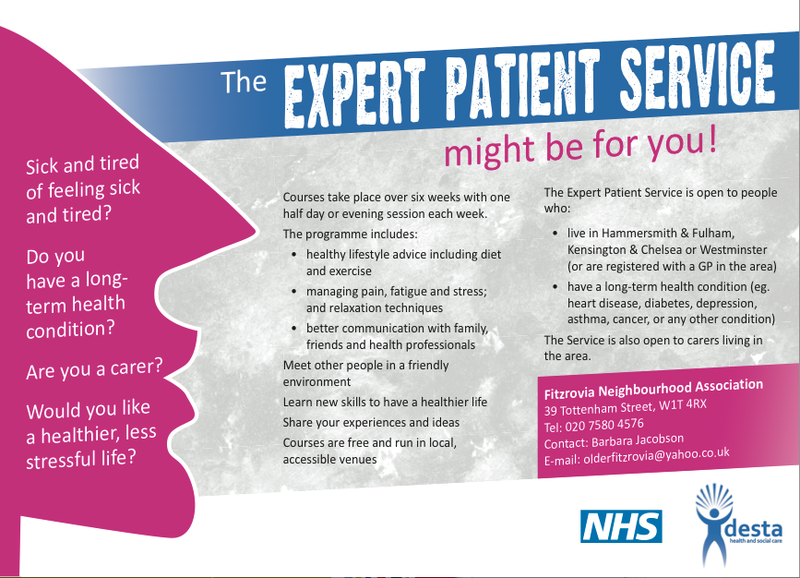 Then the Expert Patient Service might be for you. Courses take place over six weeks with one half day or evening session each week. The Service is also open to carers living in the area. This entry was posted in Uncategorized and tagged Fitzrovia, Health, London, UK. Bookmark the permalink.